From time to time we come across great inventions that have the potential to improve millions of people's lives. To make them a reality inventors are seeking protection, but not all of them can afford it. It is our duty to help them save the world. 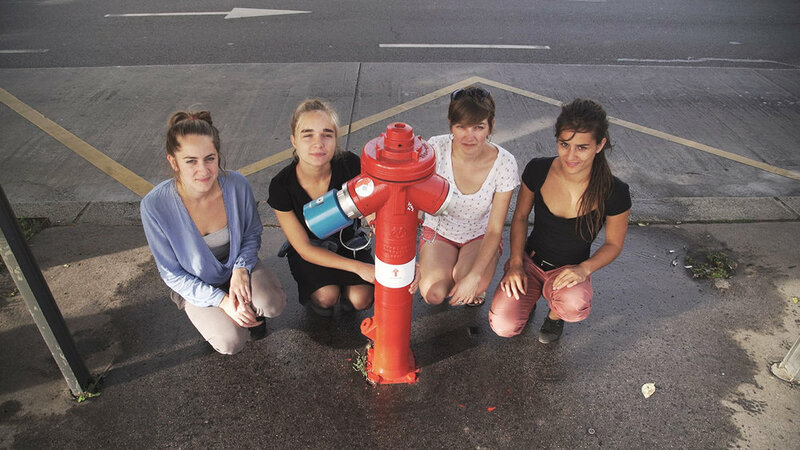 The ReHydrant Project is an innovative and creative initiative, inspired by the lack of public drinking fountains. These taps, designed by the founders of the project, transform fire hydrants quickly, easily and inexpensively into drinking fountains without affecting the original function. The ReHydrant Project was an invention of four university students who found that many urban areas lack public wells, thus drinking water is scarce in several places all over the country. They also realized that fire hydrants already form an existing country-wide network of wells, which holds drinkable water. They invented a tool which utilizes city fire hydrants in order to easily obtain drinking water anywhere. The project got considerable media attention and recently, in cooperation with the authorities, it is being utilized in many cities, covering hundreds of new locations all over Hungary. There are also plans to utilize the ReHydrants in neighboring countries. Pintz & Partners was happy to support this great initiative by preparing a patent (utility model) application free of charge as well as providing the inventors other legal support and advice when necessary. ReHydrant project team with their first installed invention. They converts hundreds of fire hydrants into drinking fountains across the country. The GlovEye team consists of three Hungarian students, who came up with a brilliant idea to help blind people read. We at Pintz & Partners were more than happy to offer free legal help and file a Hungarian patent application to protect their invention. The solution is tactile feedback glove connected to smart devices, that let blind and partially sighted people perceive printed text as Braille. These unique gloves have special Braille cells right under the index finger which can project any character as Braille to the user's fingertip. It is connected via bluetooth to their reader app which uses the camera of a smart device to track text and the finger of the user. GlovEye leverages the power of Microsoft's cutting edge AI technology to provide the best possible reading experience. Kalldo is a small startup company which developed an IoT-based solution for the control of irrigation systems and automation of garden lighting, also consisting water reversing equipment for swimming pools and even for road and pavement heating controls. This Intelligent Garden System is a centralized solution which can be also utilized for controlling greenhouse heating and irrigation of sports fields as well as public areas. Pintz & Partners saw the potential in this innovative solution, and provided legal advice free of charge in order to protect the system with a patent application at the time when the company lacked the sufficient amount of capital for appropriate protection. The product swiftly became a hit in the Hungarian tech world. The team is currently working on a unified system to control diverse IoT platforms, aiming at the European market with the goal of making it available for everyone for a reasonable price. Do you have an invention that will make the world a better place? We might choose your case as our next Pro Bono!